The pharmaceutical market in Japan is set to rise from around $70 billion in 2016 to $72 billion by 2021, representing a low compound annual growth rate of 0.3%, according to GlobalData, a recognized leader in providing business information and analytics. The company’s latest report states that the Japanese healthcare market is driven primarily by high levels of affordability and access to healthcare facilities. The increasing burden of the elderly population and well-defined regulatory guidelines will drive the growth of the pharmaceutical market in the future. Despite this, growth will be restrained by the patent cliff anticipated in the coming years for high-turnover drugs, focus on generic substitution and annual price cuts. The upcoming expiry of key drug patents is set to pressurize the revenues of some major Japanese pharmaceutical companies. For example, Daiichi Sankyo lost its patents on the Olmesartan family of antihypertensive products in the US in late 2016, and expiry will follow in the EU and Japan in 2017. These products accounted for around 28.8% of consolidated revenue in the fiscal year ended March 2016. In order to reduce the healthcare expenditure burden, the Japanese government is promoting the use of generics as a cost-containment tool. From December 2016, the Ministry of Health, Labor and Welfare will review drug prices annually instead of once every two years, based on the difference between the actual market price and the official price. 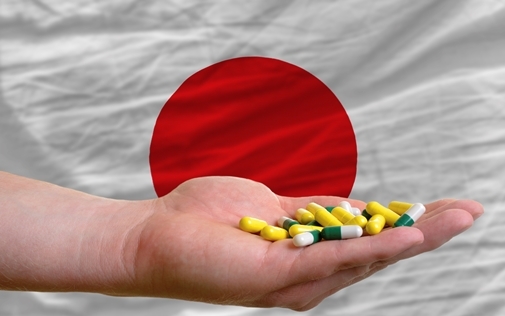 Although increasing generic substitution and yearly pricing reviews are likely to restrict growth in the Japanese pharmaceutical market in the future, the government is also working to reduce long regulatory processes faced by pharmaceutical industry in order to expedite the approval of products and improve access to novel therapeutics. This will not only attract foreign companies but also positively influence the healthcare market. New guidelines allow foreign pharmaceutical companies to use data from Phase III clinical trials performed in regions other than Japan, which has reduced the length of the review process for new drug applications from three years to one. – Information based on GlobalData’s report: CountryFocus: Healthcare, Regulatory and Reimbursement Landscape –Japan.